With a stunting rate over 40 percent among children under five in Nigeria, 17.2 million of its estimated 40 million children are chronically malnourished. Recognizing the need for multi-sectoral interventions to address the multiple causes of malnutrition, the U.S. Agency for International Development (USAID) has designated Nigeria as one of twelve Global Food Security Strategy (GFSS) focus countries. The GFSS charts a course for U.S. Government-funded efforts to help achieve global food security and improve nutrition. 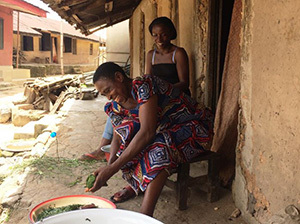 USAID | Nigeria, with technical assistance from SPRING and IFPRI, recently completed a multi-stage assessment to inform the development of its five-year GFSS inter-agency country plan. Join SPRING to learn about the assessment process, major findings, and implications for future programming in Nigeria.